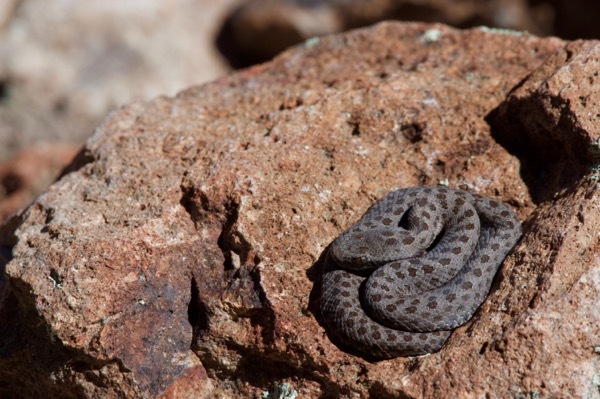 On my last morning in the Chiricahuas, I was very happy to finally locate one of these little rattlesnakes. 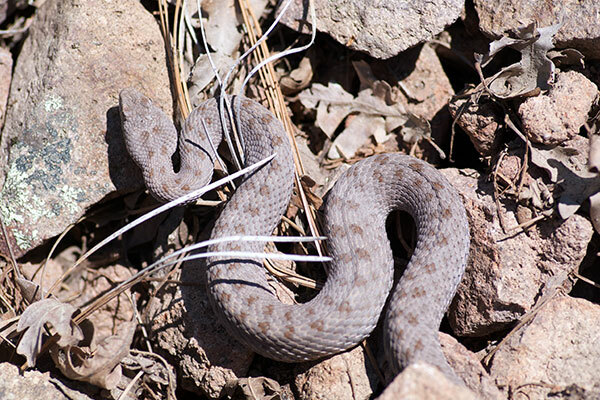 They reach the USA in only a small corner of Arizona, and are very picky about their habitat, making them one of the target species in the Chiricahuas for many a herper. I found two more in the same area on my next visit, three years later. The first one was an adult basking in the early morning sun. I was fortunate to notice it at a pretty good distance, far enough away that I suspected rather than saw a snake-shaped object. 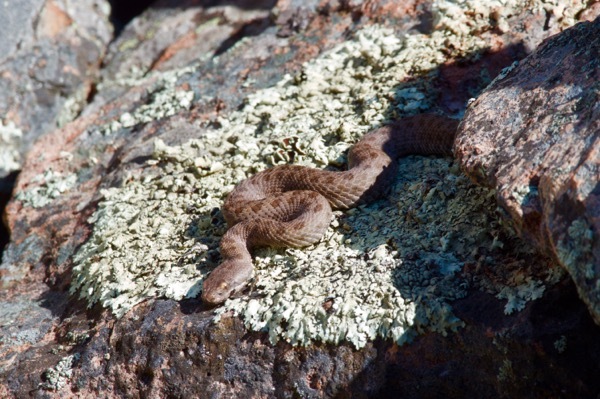 Since I wasn't carrying binoculars, I looked through my 300mm lens and was then reasonably sure that it was a snake. I snuck up closer and closer, stopping and taking photos every few feet since I didn't know how soon the snake might spook and pull back into the unknowable crevices of the talus slope. It eventually let me get maybe ten feet away before it silently vanished. The second one was a tiny baby, which I saw just a few minutes later. It was perhaps four inches long if stretched out, but only the size of a silver dollar in its early morning coil.